I love the DS sock! I love the DS too, actually. My daughter has one and hubby and I find ourselves playing it after she goes to bed. The Star Trek touch is really creative! I bet your mom loved that you put that special personal touch there for her. Thanks for the doily links! Lots of great choices to choose from! That is awesome! My daughter has a DS Lite too. 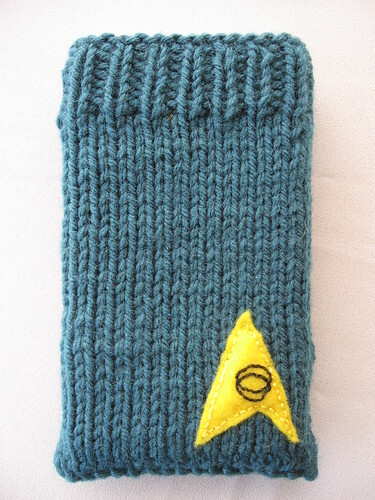 I’d definitely make one of those if I knew how to knit. THAT is fabulous! I might have to rip off erm….borrow the idea for one for my hubby. He’s a huge Star Trek geek. I love it! I tried to sew me one, but maybe knitting or crocheting might work better. 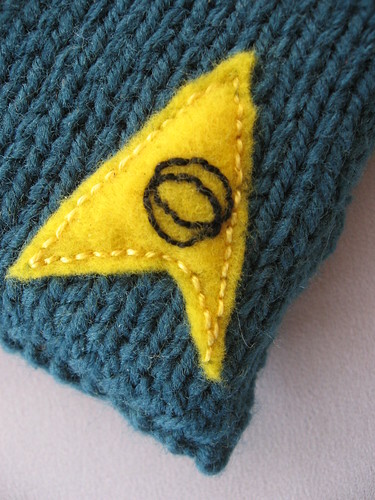 I love the little Star Treck symbol in the corner. Such a nice touch to add to it. That’s a cute little cozie! 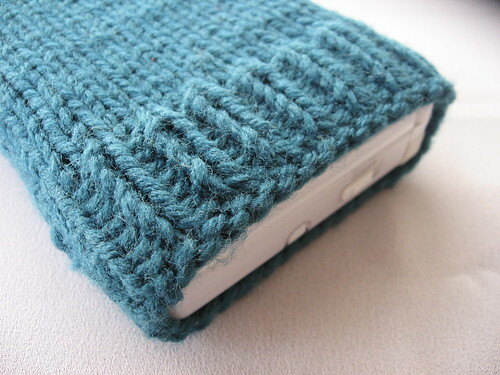 I need to make one for my son’s DS. I would like to make one that fits a few games in it too. I love this, it’s so cute!